Having a return selected for audit can be a stressful and time consuming event. 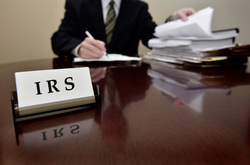 Burke & Associates represents taxpayers before the Internal Revenue Service and Massachusetts Department of Revenue. Our staff offers comprehensive knowledge and experience to taxpayers undergoing both federal and state audits. We review returns and provide clients detailed information regarding areas of potential liability, as well as discuss the audit's likely outcome. We communicate directly with the auditing agency on our client's behalf, responding to all correspondence and assisting our clients in the gathering and completion of all document requests. Our staff also schedule and attend all audit meetings.